The beep test is a killer, isn’t it? What starts off as an easy jog soon turns in to several minutes of grueling effort, as the beeps steadily catch up with you. The Beep Test and its more recent alternative, the Yo-Yo test, are staple fitness tests that you can easily do yourself to test your fitness. The advantage that they have is that they are both easily set-up and provide a universal measure of how fit you are. Some jobs, such as the police or the army make these tests mandatory for new recruits – that’s how useful they are. As far as sport is concerned, they are in wide-scale use among professional teams and players. Make no doubts about it, these tests are tough. If you’re going to do them, you should be as prepared as you possibly can so that when it’s all over and your’e panting heavily, lying on the floor, you can do so with a smile on your face, knowing your score is the very best it can be. Here are our top 8 tips for making sure that you perform to your limits. It’s so blindingly obvious that it almost seems an insult to call this a ‘tip’. However, whilst the other tips below should each add a little extra onto your performance, this is the only sure way to make big progress. The test is supposed to measure your underlying fitness levels, so the best way to ace the test is to get as fit as you possibly can. In the long term, there are no fitness gains without being prepared to push yourself, but it’s all about knowing how to make your battle to be fit as simple and easy as you can. Sometimes it can be difficult to know where to get started or what’s best for you to do, which is why we’ve put together a guide: how to train for the beep test, which should help make the task of getting fit as painless as possible. If you can’t improve your fitness level before you next take the test then don’t panic, you can still follow the tips below to maximise your score. 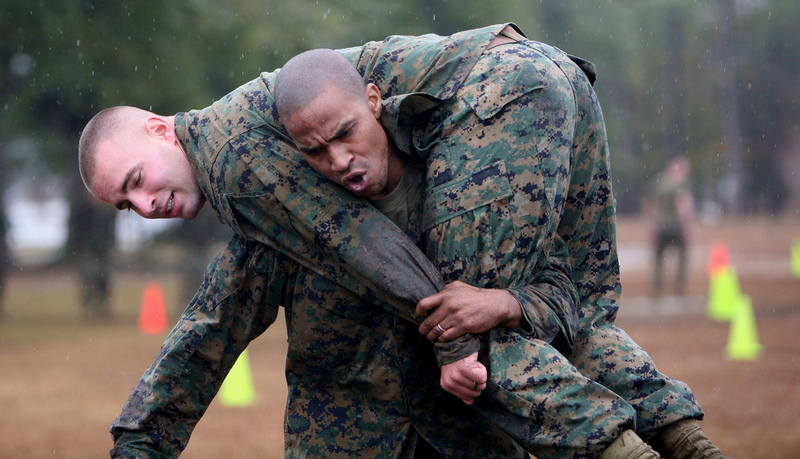 The most reliable way to do better on these tests will always be through increasing your fitness levels. It all starts here. The audio tracks to some of the tests include a specific instruction that you should warm up before-hand, and some don’t. Either way, make sure that you do one. If you do not do a warm-up then you probably will not perform at your best and, more worryingly, you could risk injury which could set your fitness back several levels. Ideally you should spend five to ten minutes warming up before you do the test. Your routine should take you through some gentle jogging, dynamic stretching, and then gentle turning motions to ready you for the requirements of the test. Get your blood pumping and your muscles warm, but avoid doing anything so vigorous that it wears you out for the actual test! One of the comments you will usually hear from people who have done the beep test is that it’s the turning that makes it so very difficult. The argument usually goes that it wouldn’t be that hard to run this distance in one straight line, but the physical effort of turning is what really starts to sap your energy in the later stages. Wide U-turns aren’t efficient for the test. You can turn by placing one foot on the line. It’s not necessary to put your foot over the end line and, though the extra distance of doing this might be small, that wasted extra half-stride might make a big difference to you as the test goes on. Make sure your turning mechanic is good. When your foot touches the line, dip into the turn a little before pushing back away. 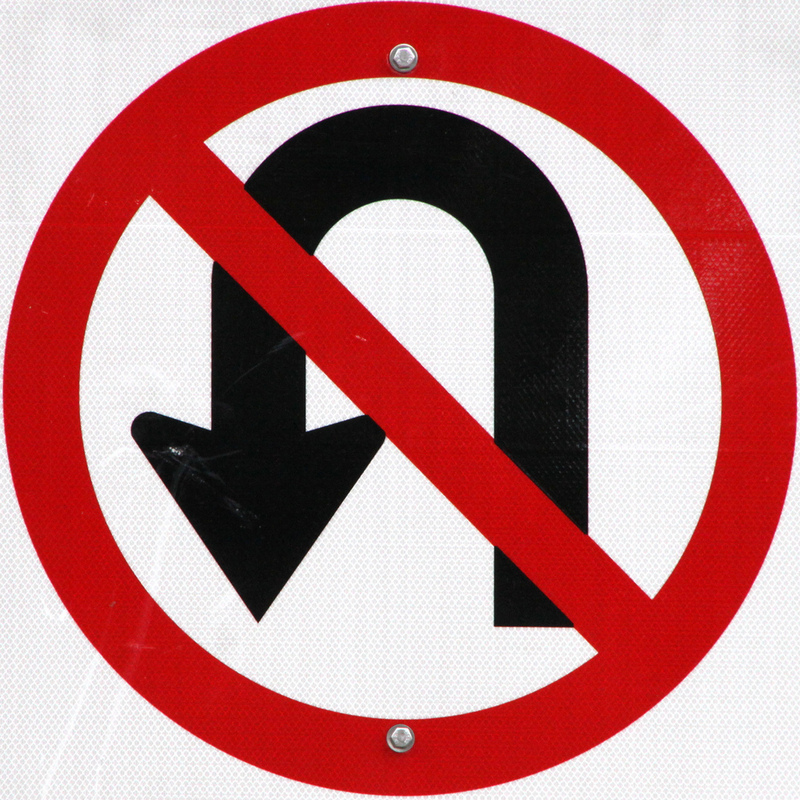 Keep your turns on the spot and straight rather than wasting time and energy performing wide U-turns. Which foot should you turn with? That’s completely up to you – do whichever feels right and try it on both. Maybe you have one foot that you turn more comfortably on. One of the tips we’ve heard that worked for somebody was to turn with a different foot each time which distributed the stress across both legs and also gave the participant something to keep track of and keep their mind occupied. You have eaten a light meal plenty of time approximately 1-2 hours before the test. You should find that these pre-match meal ideas will give you the fuel you need for the test. Also, before you do the test – make sure that you use the bathroom. It’s difficult enough doing the test, never mind trying to do it with a full bladder! For a lot of people the limits to their achievements on these tests are primarily psychological. Make sure that when the going starts to get tough (and believe us it will get very tough) you don’t give up easily. Your body is going to tire and tell you it wants to quit at some stage. When this happens you need to have your mind play the role of unforgiving Drill-Sergent rather than letting your body tap-out at the first sign of it getting difficult – don’t accept lame excuses. When your body says quit, your mind says “drop and give me another 10”! It may be surprising how far the ‘just one more shuttle’ attitude can take you in this test – some people are capable of getting a whole level or more further than where their first thought of quitting comes! At the end of the day it is just a test and your performance will vary at times. Don’t focus on it as a pass or fail event. Go and do your best; you can’t worry about anything else as long as you don’t give up. In order to give you the extra motivation not to quit, you might also find it useful to have another person encouraging you through the test. Alternatively, channel your thoughts onto something that avoids focusing on how difficult the test is getting. When you are running these tests in a group, it can often be tempting to focus too much on the other participants. This can lead to a lot of unhelpful comparisons: ‘should I be keeping up with her?’; ‘am I faster than him?’; ‘they don’t look like they’re tired at all’. Don’t try to run another person’s test. Just worry about yourself and keep pace with the beep – there’s nothing to be gained by charging off too quickly or trying to match anybody else. Some of the first people that give up early on the beep test are the ones who run the fastest at the beginning. Too many people get really pumped up for the beep test that they waste a lot of energy in the early stages, when a gentle jogging pace will be fine. Save your energy for the later stages. 7. Perform the test in favorable conditions. If somebody else is setting the test for you, this is often not something that you can influence. However, if you do get the choice over where and when you do the test, you should remember that any extreme heat, wind, or rain may impair your score. Sooner or later you are going to have someone tell you that they did the beep test without any training and easily reached level 14, or something ludicrously high. If they really did, then good for them but never believe a score unless you’ve actually seen it – at best they didn’t have the test set up correctly or were doing a different test; at worst their result is just pure fantasy. Remember, there are a lot of different variations of these tests and extraordinary results can be achieved if the tests aren’t set up properly. The chances are that these boasters either are doing a different test to you, or are not performing it correctly. Most commonly this is a result of running ahead of the beeps or measuring out the shuttle distances slightly short (both of which are not allowed). 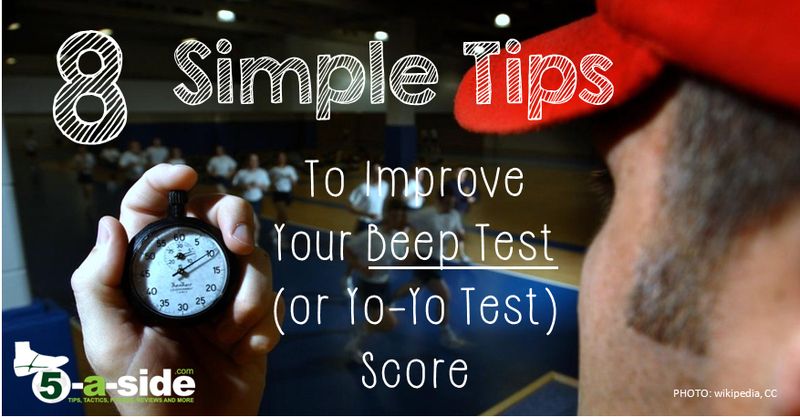 If you really want to know what you should be getting on the tests (as well as videos of them being done) then see here for the beep test, and here for the yo-yo intermittent recovery test. What level did you score? Have the tips above worked for you? Are there any other tips you can suggest? How to train for the beep test – a guide that will take you through the most effective methods to train for the beep test. The Beep Test – a Comprehensive Guide – The classic fitness test. Over 30 years old, still in use for general fitness testing. Here’s everything you need to know. The Physical and Mental Benefits of 5-a-side – Not only is 5-a-side soccer a fun game, it’s actually one of the best ways to get fit too! Hi, I need to get to level 6.1 to pass my entry to the Defence force with the fitness test. I’ve tried and failed the dreaded beep test twice, with a score of 5.5. I’m 17 years old and am a small build with a BMI of 18 and have never run in my life apart from when someone was chasing me! . So in preparation for the test, I have been doing F45 gym for five months and trained about 5 times a week. This has helped me to lift over 25kg, do 200+ sit-up’s and I can do 12+ male style push-ups and more. But I just can’t seem to run any faster. I have one last chance, it’s in 4 weeks. What can I do to improve? I’m 14 and i got 12.1, but i do football practice everyday, i think it is a good training. Try not working on upper body, before you go do not drink water it gives you cramps drink water around 2-3 hours before, like a lot of water. And try running uphill not on flat ground because it gives you more air when you run up hill like running up stairs. Try doing 100 sit ups a day and walk more. I hope you do good! I’m in the exact same position! I have my test coming up and my score is HORRIBLE, I ended up retiring after 3.5 or something else abysmal. I know i can push myself but are there any tips you can give? Hi, i’m Ethan! Im 13 years old and currently in grade 8. A lot of people are saying that the tips aren’t really working for them, and I did too! Until I discovered 5 Hour Ene- sorry, lol. The efficiency of these tips are based off of the physical capability of the person using them. A few months ago, I got a 3.4 on the beep test. I was out of shape, but healthy. My stamina was terrible, and I couldn’t go very fast. People may not like the idea of going to the gym, but iv’e never set foot in there! The way I got stronger is very… simple. all I did way walk up to and from school, (2.2km each way) and got a job as a newspaper boy! I was panting and cramping for the first few weeks, and it took about an hour to get to school. While 2km may seem like a lot, over time, I got faster, and didn’t cramp anymore, and my stamina increased monumentally. I also got stronger from carrying the papers! Before i could only carry about 15, now I can carry 40 without a problem! Walking and carrying some weight for a few months can make an amazing difference! Im doing another test next week, and i’ll share my results! Good luck everyone! Ethan, thanks for emphasizing the most important tip of all: get fit. People want a quick fix and unfortunately the beep test doesn’t let you away with cutting corners. It’s a thorough test of your fitness so the way to dramatically improve is to improve your levels of fitness! That said, all of the tips above should help you get that little bit extra out of your performance on the day! Hello. I’m 12 and I’m not fit. I want to know how I can run the pacer without running out of breath. I usually run out of breath when I do 15. These tips arent going to help, I’ve already tried last year. Can you show me different tips. Hi Tania. If there were more great tips then we’d put them in the article. Unfortunately this is a fitness test and, whilst you can maximize your performance with some tips and tricks (in this article), you need to be fit if you want to do really well. It’s easier to get fit than you think – just gradually increase your activity levels over time. See the linked article for how to do this. Good luck. I’m a 12 year old girl and my latest beep test score was 2.2, the one before that was 4.2. How do I improve in this? My friends score was above 7. I feel shamed. you can try to join a football team, you have fun, you meet new friends and of course you improve your beep test score. Or you can just try to do the beep test at your nearest park every weekend for example. In order to train, you don’t need to do the beep test. The best 2 types of training (and you need to do both of them, not one of these what you like more) is high interval training and the 24 min run. Start as beginnen your interval high interval training by sprinting at 80 to 90% of your max output in a straight line for 5 seconds and turn after the 5 seconds and walk back in s fast pase for 30 seconds. Try to repeat this at least 15 times and tops 25 times. If you’re getting better at this you need to run for a longer period of time. The 5 second sprint should be a 30 second sprint at the end of your training. So eventually you need to sprint 30 seconds And walk fast 30 seconds after 25 times. This will increase the oxygen your body can take in and use for running. Thereby you’ll train your legs and get stronger legs, so it will cost you less effort to run. The second training is to jog as far as possible for 25 minutes and no longer. So for beginners: if you cant jog for 25 minutes, just jog as long as you can. Try to jog a longer period of time each time you train again. It doesn’t matter how fast you go, you just need to try to be jogging nonstop for 25 min. If you manage to jog for 25 min. Than you try to get further (by increasing your jogging speed) each time you train again. So measure the distance and or count the times you ran around you park. And at last you need to practice your turns. You can do this by running a mini shutlerun test (whiteout any cd, just move across a line) of 5 meter. And practice your turn. Try to find the way of turning were your legs won’t burn fast. So cound the truns you make and note when your leggs are burning. Don’t test turning if your already tired of turning from your last test. Try to use the spring kinda motion of your leg muscles to bounce back at the turn. Its a energy saving way to bounce back, witch can be really needed at the higher Beeptest levels (13+). Try Train both of the 2 types of trainingen at least one time per week. If you don’t have sore muscles for the past training at least. And the turning practice you dont need to do weekly if you have already found out how to do it properly. I have the beep test tomorrow, but we’ve done it a few times before as practice one or two times. The real one is tomorrow and I am going to pace myself, and keep these tips in mind, especially the ones on turning. Thanks! Glad it helped. What a great example you gave of how mindset can dramatically influence the results! Hi, I’m a 12 yo girl and my score is generally 9.7 and similar. This has been my score for like the past year or two though and I’m not improving at ALL, even when I’m training… what can I do?! It’s a pretty good score you’ve got there. Especially for your age. Just keep trying to improve your level of fitness and those gains will come! I only get 50 and I want to improve but when I get to 20 my throat starts burning and when I get to 50 I’m really feeling sick so I stop and when I spit, blood is in my spit and I can’t straighten my leg because it hurts my knee, what can I do? I’m 12. Meghan, go and see a doctor about this. The problems you mention are things that a qualified medical practitioner should look at. Hope you get them resolved. This is a very stupid human being who didn’t go to the bathroom before the test and eventually had to stop at 7.2 even though my record is 9.1. GO. TO. THE. BATHROOM. BEFORE. THE. TEST. OR. YOU. WILL. REGRET. IT. GOOD. LUCK. That is a great tip! I think it’s worth adding into the article – done! Hafidz, I hope the test went well. And if it didn’t then there’s always next time! Something to note is that the people that give up early on the beep test usually run the fastest at the beginning. I have run the beep test numerous times within school and the military. Many people get jacked up (full of adrenaline) near the beginning and waste a lot of energy because of that. My general procedure is to fast walk for the first few stages and to always run as slow as possible. Always try to stay a little bit behind the group (but always make the beep). You’ll end up saving energy. When I begin to get to my maximum pace i start to drop harder to the ground during turns- this is achieved by dropping a hand to skim the ground while turning. I always set a competition or goal for myself which is to be the last one running. Mental goals is one of the biggest aspects of this test. When you are about to give up, always go for one more. I personally won’t quit until i stumble and miss a beep. There are some great suggestions in here. I’ve added them into the article! Thanks Alex. Hi I’m 12 and I scored a 85 and my goal is 100 for 7th grade. These tips are great but I need to improve my turning and pushing myself more. Good luck with it Jeremien! Hi, I’m 14 and I have the beep test in about 2 weeks as a fitness testing for my gym class. On the last one I scored 62 and I’ve been training with the track team, but I’m scared that since the training stopped I’ll do really badly. Being scared is natural and natures way of pumping you up to be alert. Accept it and say thanks to yourself, smile and use it to focus your mind. Try googling the chimp paradox. You cannot predict the score outcome so just say “I will give it my best shot and see what happens”. Review it at that point for what didn’t go well and also what did go well. Perhaps visualisation will also help calm the nerves? In the past I’ve been able to achieve satisfactory scores but I haven’t run in a few months and I know I’ve become less fit. To pass I need a 6.5 and I like actually know I’m not THAT fit Maybe if I push myself to my absolute limit I’ll get like a 5.8??? So im looking for more specifically breathing tips and maybe some exercises to do before the test. Please help, I gave the Pacer test sometime this week and ive never trained for it. I usually get around 50-65 but i am always so nervous and my anxiety levels boost. I cant stop worrying about it and i am alwasy trying to keep up with everyone else. Any comforting tips? Nervousness can have a draining effect on you which can make it feel even harder. I’d just say to try and see it as something to have a little fun with. At the end of the day, it’s not going to affect your lifetime goals or your long-term happiness, so just try to relax and see it as a bit of running. 🙂 Good luck. -Know how many shuttles left for the next level, this helps on focusing to reach higher levels. -At the begining do the 2 or 3 turns with your “weak”leg for every turn of your “strong” leg, when the test gets harder you will have your “strong” leg fresher. Great tips. Thank you for adding them! Hi there! I’m 14 years old and I’m not a very good runner, I have the beep test tomorrow and I’m aiming for a level 4 or over. My stamina is very weak, any tips? Hey I’m a really high pacer runner! My tips would be to go slow at the start so that you are at the back, but trust me this helps you have a lot more energy! Also do a short running exercise before the test. i have to achieve a 6.1, for work and for the past few months I have been doing individual training of running 44 shuttle runs gradually increasing pace and concentrating on turns (thanks for your advice) and then a 200m warm down run then another 10 fast shuttle runs, and so on until I get down to 2. I have been telling my self that it is hard I cant do it, but I started focusing on being hard on myself telling myself to stop being so negative and weak. well had a practice test during the week and I reached 6.5 and although I stopped I think I could of kept going. I only train twice a week, but do a couple of 600m jogs during week at medium pace. so it is achieveable with a little bit of hard work, and by the way I am 49 yo. Hi there. I have to be at a level 5.1 in 5 weeks time. I tested myself this morning and I’m a 2.2. I am willing to put in the work and wonder if it is advisable to train every day or every other day. I am 48 years old. The test is work related so no way to avoid it. I won’t lose my job over it but it will be embarrassing. Hi Esther, this all depends on how you’re training and your existing level of fitness. If you’re not feeling particularly in shape and you haven’t been training, then there is a risk of overdoing it at first, resulting in injury. Daily training is something you could work up to, but don’t overdo it. Make sure you warm up before each training session and gradually ease yourself in. From there, just listen to your body. If you feel good, train every day. If not, give yourself a rest day here and there. Good luck! I am in sixth grade and want to beat my record of 13/6. I have been using your tips and attempting different strategies but I can’t quite beat 13/6. I have been running a lot outside of school as well and maintained healthy eating habits. Any ideas? I’m from England, so I needed to look up how old that makes you – age 11! That is a really good score for your age. You will definitely improve as you get older and grow. In the meantime, if you’re really wanting to take your fitness up a level, you could try 30-20-10s but be warned, they are hard. Hi I’m Alyssa 10 yo, and I’m about to take the test tommorow and I’m so nervous. I have asthma and it’s really bad! What should I do to prepare? Hi Alyssa, make sure you take your inhaler. Just go out there and try your best. If you do your best then you can be happy with that, no matter the result. HELP ME ! i have beep test 2moro and i havent trained, my record in my whole life is 4! my friends always get at least 5! any secret tips? Hi Karen, stay calm. Stressing won’t help. Just use the tips in the article and do your best! Wow, you are in the EXACT same position that I’m in! I can get a ninety, tops. I’m also 13. I’m working on 100. Just remember to practice. Post back here if you get 100, hopefully we can both get there. Good luck!! I’m 13 and my school makes us do the 20m pacer test every 3-4 weeks. I’m trying to get to 100 and my record is 85, so I only need 15 more laps. I want to do it by the end of the school year (mid-June) so I have a little more than 7 months to do it which is a lot of time. So, I started practicing a week or so ago. My routine is half upper body for my sport (softball) that includes having a catch and pull-ups in the garage. The other half is for running. For running I do the pacer each day. I have an interesting pacer strategy – I started yesterday going 90-100. When I feel comfortable with that distance, which should be soon, I’ll do 85-100. When I’m comfortable with that I’ll go down to 80-100 and so on. Just an idea my dad had to practice a little speed and endurance since the higher levels are much faster. If I’m not too tired after the pacer I might rest up and do it again. This is good for me since I have a lot of time (even though I would like to get 100 in the next couple of months, if not before) and only about 50 meters of pavement to work with and about 20-30 minutes a day. I was just wondering if you had any extra advice to reach my goal or if you think the system I already have will work in a few months. Thanks, and I’d love to get a response! Also, here are a few tips I’ve learned so that others can benefit if they read this: never have any doubt that you can reach your goal. Every day, get as much physical activity as you can/take every opportunity to get in shape. Stay hydrated all the time and eat healthy (duh). Some advice I have the night before you do a running test (pacer, beep test, yo-yo, whatever it is) eat pasta or something with carbs. It really helps. The next morning, I usually eat pancakes or a protein shake or something with carbs/protein. A glass of milk adds protein too (but don’t eat too much, try to make it a light meal). Don’t drink water 30 minutes before the test or you’ll get a stitch (at least, that always happens to me). Have a positive attitude, don’t get worried or be nervous. Don’t wear yourself out while warming up! Lastly, make sure to practice turning (don’t do wide turns). Don’t worry about the people next to you – they don’t matter. Distract yourself with other things – don’t put all your attention on the pain or you’ll want to quit even more. Just a few tips I’ve picked up along the way. Good luck to everybody doing this test and I hope you get the best score possible!! Hi thank you for this information, I’m sure these tips will help me in the short amount of time I have. I’m in the process of a fire recruitment and have a test this Saturday. I did a practice 20m shuttle run about 3 days ago and got 5.8. I need a 6.5 and that’s it to pass. While I did the practice run, it was outside on concrete and it was slightly cold. I gave up because of my mouth become very dry, my legs felt weak and I started to develop cramps in my sides. Any last minute pointers? Thank you again for this article! I’m trialling for my national team in netball on Saturday and I have been improving my fitness a lot over the past weeks. I know I am capable of a good score but I lack mental toughness. With my mum I’ve been able to get to 8 and 9 but when I do it in pressurised environments I only get to about 4 or 5 as my brain tells me I can’t do it. I get really nervous before and during the test I think negative thought even if I try not to. 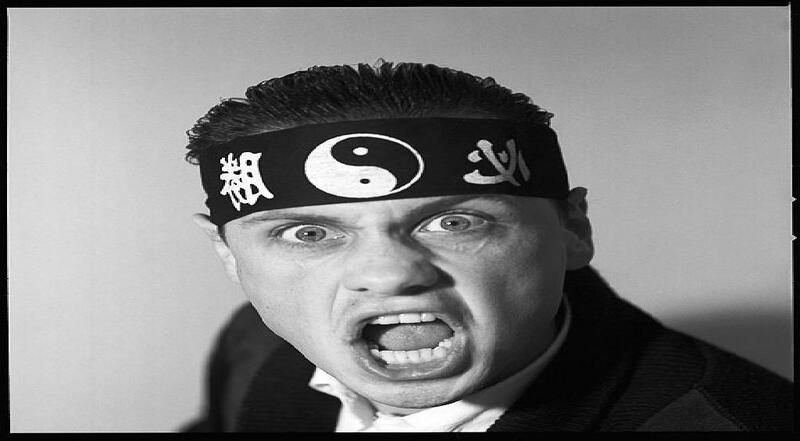 Do you have any tips on how I can become more mentally tough? And how to keep going? Rachel, good luck with the trial. Here are a few things to bear in mind as you do it. (1) If you’ve done it in training you can do it in the real thing. There’s absolutely no reason why you shouldn’t be able to – so don’t succumb to the voice that says you can’t. (2) Try to take your mind off it. Don’t let yourself have a running dialogue in your head of “can I, can’t I do it” – you don’t want any part of that conversation so try to think of something else. Anything that distracts you is good – just think of which leg you’re going to turn with at the next turning, or of what you’re going to have for tea tonight – anything that distracts you. (3) Tell yourself you’re not quitting until level 10, and your brain is going to have to get over it. Level 10 might be too far for you, but by over-reaching you may go further. And when you get to level 5 you think, “that’s nothing, I’m off up to level 10, baby!”. (4) If it all gets really hard, just dig in deep and force yourself to carry on – don’t let voices of negativity take away this excellent chance, which you know you’re capable of. Hi im Kusanagi, i did the 15 m bleep test but only had 3 days to practice for, i did this outside and only got up to 3. When i actually did the test i got to 5.2 but needed 5.4. I couldn’t seem to breathe properly, any help ? I have the same problem – and that’s probably due to Asthma. Have you had any symptoms of it before? Cause that’s probably the reason why its harder to breathe compared to everyone else. Another factor might be the air? i don’t know but the oxygen level does have a part to play in this situation. I recommend researching into different breathing techniques, but if you have asthma – get one of those puffers with ventolin. It’ll dramatically improve your test score. Hope everything goes well !! It definitely could be asthma but here are a few tips if it’s not: Try to run the test inside. It is easier to breathe inside rather than outside because of factors like wind and temperature. If you don’t have any influence on where you run the test, try breathing through your nose (at least, this is a little easier for me). Hope this helps! Hi, I’m Bre I’m 14. I play competitive soccer and I have a fitness test on Saturday. The coaches want us to get at least an 8.8. I practiced the 20m test yesterday and got a lousy 7.3. I need to improve! If I do not pass the test I am not allowed to play! Hi Bre, with such short notice, the best thing you can do is prepare well for the test. Get a good night’s sleep and eat well for it, but also take the other tips above. If you work to be best of your ability that should hopefully be enough. Also, 7.3 isn’t that far off 8.8! If you keep up the training then you’ll get there soon. Hi I need to get to level 5:4 on a 15metre shuttle test. I bought a bleep test for 20m and practiced with that at running to 15 metre shuttles and got to level 6:4. But now I have bought a bleep test that covers 15metre shuttles and can only manage to get to level 3:1 before I stop! What can I do to improve? My bleep test is in 2 weeks time! I’m worried I will fail the test?? Hi Emma. I can appreciate that you’re a little worried at the moment, but at least you have time on your side. Two weeks might not be that long, but you can still get better in that time. First, make sure you’ve really absorbed everything in this article for those extra little gains, but the rest is going to be down to you putting some training effort in. Train each day, practice the test where you can and just do your very best. If you want to know an effective way to train, check out our ‘how to train for the beep test’ guide linked to in the article above. Good luck – stay positive. Hi Leah, that sort of improvement is definitely possible. The best way to achieve this is to take the tips above, but sinc eyou have time on your side you should be training for it. If you want to know the best way to train for it, just see our guide on how to train for the beep test – we’ve linked to it in the article. Good luck. I love how you are replying to all of these comments, I was going to say, I recently done the 20 metre bleep test, and even though I did not get outrun by the bleep I had to stop due to my mouth feeling very dry, and was wondering if this is also from not drinking enough water, not just a bad breathing technique of mine? Just wanted to let you know – this is really common. It’s definitely not a sign of dehydration so please don’t go drinking loads of water before the test, that will only result in cramps or stitches later on. I would try to stay hydrated the day of the test but don’t drink water within 30 minutes before the test or you will likely get cramps. This is a common situation and more likely happens if you run the test outside but it can also happen when you run inside. It doesn’t mean anything – just try to keep pushing on unless it really bothers you or causes you pain of any kind. Just know that it’s pretty normal and happens to me too. Hi! I am preparing for my beep test in a few weeks, and I need to improve my stamina, how should I do this? I am quick enough to get a high score, but I just get so puffed at about 6.8. I know my mental preparation is really important because I make myself believe I am tired, but when I finish I know I could have done more. I have a goal of level 9. Hi Tess, the best way to improve your stamina is to follow this guide on How to Train for the Beep Test. It sounds like a fitness issue if you’re getting to good scores already – just try and push yourself a little more in training each week but pace yourself. Don’t do too much too soon or you might injure yourself. Good luck. For me the surface really matters. Running on a solid surface instantly improves my score +25% running over grass. Most jobs where this is a pre-req usually test in a solid floor gymnasium. Its also important that the start and end are precisely measured and the lines are clearly laid out. The only requirement is that your foot must touch the line before the beep and as you say, over running the line just burns a lot of fuel over the life of the test. Over 2.5 weeks I have gone from 6.2 – 9.3 with the help of these tips. Aiming for 10.1 , I have fuel left after 9.3 but the beeps just beat me. Hi Lucas, that’s a very useful comment about the surface. I’m sure that others reading this will find that comparison interesting. Thanks for such a great comment and a huge congratulations on the massive improvement that you’ve registered in just two and a half weeks. It just shows what can be done when you put your mind to it! Thanks Sean, that is an awesome achievement! Hi, I’m 14 and I have an ugly record of 11.6, I was sick at the time and this time I’m coming fully prepared I’m looking to hit about 15+ any tips on what to eat in that 1-2 hours before? Hi Cole, have a look at our guide on what to eat before a game of football. http://www.5-a-side.com/nutrition/the-perfect-pre-game-meal/ – it’s the same principles you would apply for the beep test. Eat 1g of good quality carbs (ideally as part of a balanced meal) per kg of your body weight around 2 hours before the test. Hope that helps. Hi, my name is Han and I just turned 13 yesterday. I ran about 45 and my goal would be at least 50, 55 or 60. Its weird how my little sister’s bones are much stronger and she never really exercises. She’d eat, watch tv, plays video games all days and she’d ace the pacer and mile like between 40 to 60 and about 8 minutes or under for the mile. And she’s 16 months younger! But I want tips on how I could actually strengthen my muscles in about a couple weeks till I get out of health and I’m going to run a fun run after break. I need upper and lower body strengths growing everyday. Han, it sounds like you’re already going in the right direction with your training. Doing fun runs and getting out there training will help build your strength and endurance. You just have to keep focusing on improving and you should see the benefits of your hard work. In terms of the type of training, consider some circuit training which includes some upper body work. 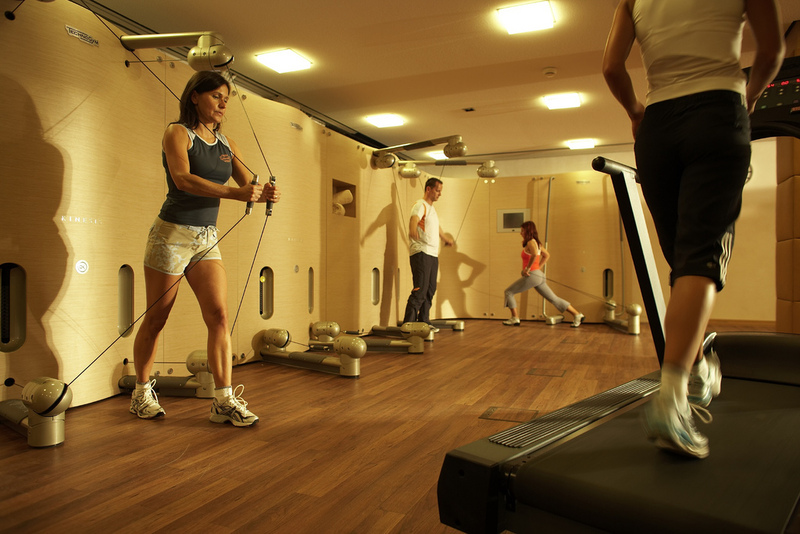 It will be high intensity and will increase your fitness, whilst also improving your upper body strength. Good luck. In the short term just do your best and follow the tips below, that’s all you can do. In the longer term the way to improve is to build your fitness levels with some training. Good luck. How much is 98 runs across, and how much is 125? If it’s the version of the test referred to here (http://www.5-a-side.com/fitness/the-beep-test-a-comprehensive-guide/) then 98 shuttles would take you to the start of level 11 and 125 will take you mid-way through level 11. Both would be very good scores. I have an assessment coming up for the special Constabulary within the police force and this requires me to complete the bleep test and get a minimum of 5.2. Now, I’m naturally a broad lad and weigh 17.5 stone. Would this particular target of 5.2 be tough to get realistically? If this is the standard beep test then 5.2 should be fairly achievable. Assuming that you’re ‘broad’ and not carrying excessive weight then you should be able to achieve this with after a period of training. It’s difficult to say exactly how hard it will be for you without knowing your individual situation. To get to level 5.2 you need to be able to run just over 800m and hit a top speed of 10.5km/h which isn’t a very quick pace. It takes around 6 minutes for the test to hit that level. This is definitely achievable. Get training and good luck. Great tips. I might add them into the article. Hi Zain, I’m not sure it would be too wise to suggest pushing too far through the pain barrier. If your foot is still not healed then I’d advise not pushing it too far. If there is pressure on you to do the test, let them know of this issue and they must surely understand. Hi im 11 years old and every month our p.e teacher makes us do the beep test but once i hit 15 pacers my throat starts hurting and burning and i have a beep test tuesday anytips or advice? Thanks! Hi I’m Mia, I’ve got a little tip. My PE teacher makes us do the test too and the same thing happens to me! It’s normal and a really good way to prevent this from happening is to breathe through your nose. This is important if the test is outside. Considering that you do it out of PE, you probably don’t have any influence where the test is but the most favorable condition is inside. The most important thing is to breathe through your nose – don’t forget that. Hi, I’m having my beep/bleep test soon, and my score that I acheived last time was 5-9. However, my teacher tells us that we should be aiming for a 8 at our age (13). When I reach level 5, I start to get cramps in my abdomen and my calves seem like they’re being stretched. I also have a permanently weak ankle, so that also hurts sometimes when I turn. How can I improve my score to get a better mark (without injuring myself over and over again of course)? Also, on the days that I eat breakfast (just one slice of bread), I feel like I want to hurl when I run. The PE lesson is 4 hours after I eat, so it shouldn’t be a problem, right? Now I just skip breakfast on the days I have the test, is this advisable? I don’t think that you’re the problem. The average beep test level for girls 14-15 is 6.5 to 7.5 (average for girls 16-17 is 7.2-8.4) and you said that you’re 13 and your teacher wants you to reach level 8. Other than this I’m not sure how to advise you and answer your questions (sorry). For cramps – try not to drink too much water within 30 minutes of the test. Too much water can be a major cause of cramps. It’s normal for your legs to be tired and there’s no way to really prevent this other than training on your own time. Make sure you do a warm up as well! Find a turning method that works well without hurting too much – just avoid really wide turns. Not eating breakfast the day of the test will NOT help you – at all. It will prevent you from getting a better score. Try to eat a light meal – something with carbs, preferably, or protein – but don’t eat too much. The night before, try eating pasta or something else with lots of carbs. Feeling sick probably has nothing to do with the bread you ate four hours ago. Hi I’m 23 and have to do an annual fitness test. I am not the fittest person but I know that I am capable of passing this test which is why it really annoys me when I fail it and can’t reach my level. I tend to stress and panic before hand then as soon as it starts to speed up its like my legs don’t want to go anymore and I could easily be sick. Any tips would be much appreciated to get me over this hurdle and to get the pass I need. Hi Kat, you say that you are capable of passing the test, but how do you know? I would prove it to yourself by doing it in your spare time. Get a friend to check that you’ve set it up correctly and to monitor you – that will put a little bit of pressure on you. Then, if you pass it comfortably then you KNOW you can do it when it comes to the real thing and that should help you relax and be able to perform better under test conditions. I hope that helps. Chesca, first of all a level 12 is a fantastic target. Ambitious, but excellent. I wonder if you’re putting too much pressure on yourself and focusing too much on your tiredness. I would just take it one shuttle at a time and try to think of other things than how tired I am. Of course there comes a time when you’ll have to dig in and push through it, but that comes late on. I think it’s just a case of keeping training and practicing. Some of what might be making yourself tired is nervous energy, so try to take your mind of the test before you do it so you don’t waste all that nervous energy. Good luck! hi,i am 10 years old and i got up 25 laps i want to do more but i get a burining sensation in my chest and sides.any tips? Hi Zoie, that sounds like something that you might grow out of, but I’m afraid that I can’t advise on your specific situation. The best thing to do is to go and see a doctor, who will be able to tell you what it is and whether it’s a problem. Good luck with your training. Hi, I always get 8.2 in the beep test 20m. I am 10 years old and so are my friends but they get 13.4. And they broke the school record. I try to aim for 10 but my back starts to hurt and I have asthma so I get really tired. Anyway to improve myself to get to my goal? Hi rohan, don’t compare yourself so much with them. Your progress is fantastic for your age. Keep training and working hard and you’ll keep making progress. If your back is a problem, consider seeing a doctor about it. Otherwise, just keep going the way you are. If you want it and work for it, you’ll get there! Hi! I’m Ardi. I’m fourteen and in my school, each month, we have the beep test in P.E. Every month, our teacher expects us to improve. I got 9-6 last month, and I’m planning to get to 10 this month. I run around my neighborhood everyday, for about 45 minutes. My routine goes like this; 10 songs, and on the first song, I run, and on the second one, I jog, so on and so forth. Hi Ardie, that’s great that you’re training so hard. I think you’re going to see improvements if you carry on like that. What you are doing is a form of high intensity interval training (HIIT). That form of training is really popular recently and is the foundation of programmes like the insanity work out. Although, most HIIT is in shorter bursts for less total time – e.g. 1 minute of very intense work-out, 1 minute rest (walking), and repeat that cycle for 10 mins total. How about trying that at some point and see. I think the routine you’ve already got is a good one though. Hi, I’m 11 years old and have a beep test tomorrow. Last year I got a 6.2 on the first test of the year and had to quit because I got stitches as I was not breathing properly. The second time I got a 6.8 but had to quit because I felt nauseous but was breathing properly. The score on the beep test is actually really important to me because I love physical activity, so do you have any advice on what to eat/what not to have for breakfast in the morning so that I do not feel nauseous again during my beep test? Thanks! Hi Aliya, I’m impressed with your commitment! My advice is the same as I wrote for Julieta below: eat a good breakfast full of good quality carbohydrates. Try to eat around 1g of carbs for every 1kg of your body weight. See suggestion 6 on this post: http://www.5-a-side.com/nutrition/11-awesome-pre-game-meal-ideas/ . Please make sure that you scale it down for your body-size or you’ll be feeling too full. Good luck tomorrow! I am 10 years old and I have the pacer test TODAY. I am a fast runner but whenever I take the pacer I get that burning feeling in the back of my throat and I have to stop. Any tips on how I can prevent this from happening? Thanks! Hi Sara, I haven’t heard of that before. Make sure you have a drink beforehand so you’re not starting with a dry throat. If this is happening regularly, you might need to get some advice from a doctor. Hi … I’ve been practising extra hard as I’ve plan to join as a regular police officer. In two attempt I’ve managed only up to level 5.2 and 5.3 when I need 5.4. I’m 24, 164cm and weigh 60kg. I don’t know what to do, I’ve even last weigh and avoided carbs. I have my last attempt in November if not I’m out. I hope you can help with advice? Hi Julieta, if you’ve sincerely tried all of the above tips and getting fit on your own, without hitting your goal, it’s time to try a different approach. You could try seeing a personal trainer once a week. Tell them your goal and ask them to work with you on developing a training plan. That could be expensive, but if it’s going to help you get started in a career, maybe worth it. A cheaper option could be joining your local running club (or other exercise class). They will cater for mixed abilities and it could give you the motivation you need to hit that goal. You can do it! Thank you. Have a tiny question what would you suggest to have for breakfast on the day I have my test? Previously I just had one slice of toast and small glass of green juice. I don’t know if that give me enough stamina. Any suggestions? Would be very grateful. No probs Julieta, I would aim to eat 1kg of carbs for each 1kg of bodyweight and I’d aim to eat it 2 hours before the test. If still hungry I’d have a banana after another hour. I don’t think you ate quite enough before. Look at this link to our pre-game meals and try the weetabix suggestion http://www.5-a-side.com/nutrition/11-awesome-pre-game-meal-ideas/ (suggestion no.6). But don’t try it for the first time on the day! Hope that helps. Hi Julieta, I don’t think it will make a huge amount of difference, as long as you’re pushing yourself. There might be something to be said for trying to train on the same surface as the test a few times. If it were me, I’d mix it up a bit. I’m 12 in middle school and we have this beep test tomorrow, last year when I did it i remember getting a 4.3 or somewhere around that. I have asthma but I do have an inhaler for it but, 2 days ago I got sick. I started with a runny nose and itchy throat, today I guess I’m feeling better than I was before and now I’ve got a few coughs every now and then and a stuffy nose. I’m wondering if this will effect my results by a lot If i don’t recover by tomorrow. I don’t know if I should go through with it and maybe ask my teachers for a pass, but It’s a 50/50 chance they will let me. Hi Lyn, if you’re not 100% then you might not perform 100%. It’s impossible for me to say if you’ll be affected without knowing you and your condition. I think the best approach is to let your teachers know the situation and then give it a try if you feel up to it. If you think you won’t do well then you won’t. Be positive, it might not make much difference. Good luck. I am a collegiate soccer player and our goal is to get a 13.1 on the beep test. My highest score 2 weeks from the final test is a 12.2. I did this by myself so what tips would you have for me to reach my goal of 13.1? I have been doing interval training/runs to try and increase my stamina.any other tips? To start off – 12.2 is a great score – I can’t get a score that high! So, good for you! Interval training is one of the best ways to practice for the beep test. A tip I have is to try to practice running the actual test if you can. But yes, you’re on the right track with interval training – and I have no doubt you’ll get your goal very soon! Good luck to you! Hi I am Gonzalo and I am 18. I am going to play college soccer and I am supposed to reach level 16 of the beep test by the first day of preseason, which is in a month. I am training really hard, and a month ago I reached level 10, following most of your tips. I know I can do better, but level 16 seems quite like an unrealistic goal for me. Do you think my coach is trying to motivate us in order to improve? Or is this an achievable result for a collegiate sport? If so, what type of exercise is recommended to improve the beep test? Maybe it is another type of beep test, although he doesn’t specify which beep test it is. Hi Gonzalo, your coach can’t mean the standard leger test as that is an incredibly difficult level to reach and professional players would struggle to get beyond 12 in that test. What he might be referring to is the intermittent recovery test (or the yo-yo test), which we have a separate article on. If he’s talking about that then you should be able to manage a level 16 without too much difficulty. My advice would be to ask for more details on which test, if you are unsure. He’ll probably be impressed that you’re taking it seriously and are keen enough to ask. Otherwise, just keep working and hope that you’ll be fine. If you can get a level 10 on the standard beep test then your fitness levels are good. How do I percent cramps in my sides? Hi Devan, it’s hard to know what’s causing the cramps without not information. It could be what you’re eating before you do exercise, it could be that you need to stretch the area better in your warm-up, or sometimes muscle cramps are due to not having enough salts. Try addressing all three, though be careful with the salt one -only a little is needed. Something that helps me is – try not to drink too much water right before the test as this usually results in cramps for me. Hope this helps! Hi Alana. Stick to the tips in the article and you should do great. Get a good night’s sleep and make sure you eat right. We have a post on pre-game meals that will help you on what to eat. The other thing is not to worry about it – what happens, happens. Nervousness will sap your energy. Good luck! I need to get to level 9 for my black belt. Last week I did 7.2. But I have got as far as 8.2 in the past. Each belt has increased levels. But, I’ve never got passed 8.2. My son got up to level 11. There’s a 23 year difference. But, I’m struggling. I think the sprints is a good idea. Tbh running has always been hard for me. Unsure if my breathing has anything to do with it. My fitness levels decreased when I had surgery on my spine. But, It’s my fitness levels that prevent me achieving a higher level. Any tips would help. Ps I like chocolate lol. I don’t grade for another year, I need to train though as its a six hour exam. Helen, I hope it went well for you. Running is hard for a lot of people and spinal surgery is just a little extra challenge thrown in for you 🙂 The best way to do well on the test is of course to improve your levels of fitness and that’s not easy. But the good news is that if you make gradual and continual improvements you can see your levels increase as you continue to train. So train hard – and not too much chocolate – lol. hi I’m Sabrina I also do the pacer test in my school we have to get up to 32 laps and I can only go up to 9 I is really hard for me to pass 9 when I get to 9 I cant o any further what should I do if I’m really tired I really need to go to 32 what should I do ? My advice is simply: practice. That’s the best thing for you. Practice turning and eat protein and carbs for breakfast and the night before (but not too much! If you eat too much, you might not be able to get a good score). Just wondering, what grade are you in? You don’t have to say I was just curious – because if your PE teacher expects everyone to get to 32 this might be pretty unrealistic depending on what grade you’re in. Just don’t worry about your score, try your hardest and I hope you do great! Hi Temi, thanks for your message. To me a ‘marathon’ is 26 miles, but I see the distances that you’re running are a lot shorter. Don’t be discouraged by one bad time, there are lots of things that can go wrong on the day. The conditions might not be right, and you might not have eaten properly or slept well, all of that can have an impact. So get in good condition for a start. Then also make sure you’re doing some training. I’m a big fan of interval training, which means that you do some intense exercise followed by rest periods. You could try some 80% pace sprints for 20 seconds, followed by 30 seconds rest. Repeat this several times over the course of 5 minutes then have a longer rest. Good luck with your sprints and your beep test – keep building your fitness and you’ll improve a lot over the next few years. Will interval training help? Right now I can score a 6.1 but I really want to get it up to the 8s. I’m training with my friend for a 5k in June, would that help at all? Yes, it definitely will help. Any kind of fitness training will help you on the beep test. But interval training in particular will be an effective way to do it. As long as you hit high intensity in your interval training it will work well. Well done brad. You must be talking about the yo-yo test there. More evidence that the turning is what makes it so tough! I had to do the test for my college practical interview and I was expected to get 7 as this was average for a girl my age. However I only got 5. The turning is difficult but having to speed up is tough too. I go back in a couple of months to re-do it, Lets hope my hard work pays of and I get 7! I’m Linda, and I need to get a 7.5 on the Beep Test for the Australian Army. I have another 2 weeks to pass my Pre-Enlistment Fitness Assessment. For my practice PFA I scored 5.3 and was so disappointed. I pulled out as I got a cramp in my belly but then asked for another go and scored something like 4.7 only a few minutes later. I have 2 weeks now to get to 7.5… Do you think it’s possible? Any training tips? This job is my dream and I hate that the beep test is what’s in my way. The other components of the PFA (push-ups and sit-ups) I am completely fine with! 1) You wont be able to do it without improving your base fitness level so get training. Honestly, i would be training in a similar way to the test. Running in high intensity intervals with rests (gentle walking) in between. Get doing this now. Go and buy something to measure exactly 20m (or other appropriate distance), download an app and do this test so you get used to it. 2) see if you can find a training buddy who knows how much this means. They will help push you. 3) as you found out, dropping out isn’t an option. You wont do better on a second attempt because you’re already tired. So stick with it and give it everything first time. 4) over the next two weeks if you’re training a lot, make sure you warm up gently before each session. You don’t want an injury to ruin your chances. Good luck to you. Let us know how it goes. Hi Linda, I am in the EXACT same situation as you. I was wondering how you went with your test in the end? Was it achievable for you?? Hey, nice tips! My name’s Clark and I’m training for the military entry tests and need to get 9.1. I keep conking out at about 8.3, I seem to get an upset stomach, kind of like I have a small canon ball in my belly, but only from doing a yoyo test, normal running/jogging I’m fine. Any tips? Good meals that could stop it etc? Hi Clark. Firstly, good luck with those tests and glad you enjoyed this page. The stomach thing is interesting indeed. I have two thoughts for you. First, when it comes to what you’re eating, let’s make sure that it’s not causing you stomach problems. I would try eating a few different type of meals before training to see if you can get one that settles really well. But most importantly, eat it 2 hours before you do your physical activity so you have time to digest it. If you want to learn about what to eat (including some meal ideas), look in the ‘nutrition section if this site for pre-match meals. That’s what we recommend before a game of football, but it works the same for the beep test. Second, you say it’s only happening when you do the yo-yo test. So maybe it’s your body, not your food. I would start trying to train in a way that is higher intensity (in bursts, like the yoyo test to get your body used to that sort of specific effort – as you’re pointing out it’s a lot different to jogging. Rohan, I hope tomorrow you get an 11. But a 10.7 score sounds very good for your age group. An 11 will come as you grow and train, even if it’s not tomorrow! Although, let us know if you get it! Hey I’m Por. I got 7.2 this week, but next week i will do the beep test again and my goal is to reach at least 8.1 can u tell some more tips please. Hi Por, it’s great that you’ve set a target. A level 8 sounds achievable. I think for you, it’s going to be a case of getting out and training a couple of times a week. Simply doing some running in bursts will help. So, gently warm up and then do a series of 80% speed runs for 30 seconds (as far as you can in that time), then rest for 30 seconds (walking slowly). Do this as many times as you can in a row ( if you can do it for 5 minutes, that’s great). The other thing, if you cant get outside in the evenings (too wet, too dark etc) then search for some (‘HIIT workouts) on YouTube and find one you think is appropriate (but challenging) for you. Good luck with it all! I’m 15 and we have to do yoyo tests for cricket, today I did one and i scored a quite good 18.3. I say the most important thing is the Turning and the first 3 metres of the shuttle and the 3 metres either side of the turn. Hi Edward, that’s a great score on the yo yo test for your age. There are professional football players who get slightly less than that (check out the video in our guide to the yo yo test). Your tip is a really good one, thanks for sharing. I’m 15 and we do it at school, we must reach level 5 to pass and I always get to level 4.9 and then I can’t do any more but I’ll try my hardest next time since it’s my last!! Hi Maria, thanks for your comment. You won’t be the only one reading this who finds the test tough. Here’s a suggestion for you: don’t make level 5 your target. Commit to get to 5.3. Really convince yourself in your mind that you’re not going to quit until at least that point. That way, you give yourself more room above the target and you just might get a level 5. I love your determination and I’d cheer you on if i could. Please come back and let me know how it goes and what tips work for you. im in year 8 this year and the average is 6.5………………. my most recent was three years ago, which i got 5.2 or something.. no pressure. right? Hi Amy, I’m sure you’ve come on a lot in three years! Good luck to you. Hey Amy I’m in year 8 to an hate the beep test. As there is only 11 in our class it gets solo competitive. And I hate it as I’m not very good at it! I get your feeling! It’s the turning that’s hardest for me. Especially when the ground you’re doing the beep test on is dusty and slippery. I dropped by about two levels when the ground was slippery. The turning is a killer! When it’s dusty you could try wearing some astroturf trainers. A bit more grip than normal trainers.